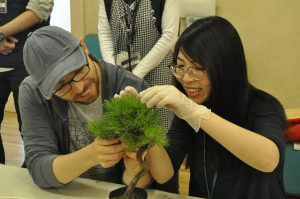 Building upon the opportunity of the 8th World Bonsai Convention in Saitama, the “Saitama International Bonsai Academy” is offering bonsai classes where students can acquire knowledge and skills regarding bonsai in a systematic manner at the Omiya Bonsai Art Museum. Currently, we are conducting classes for Japanese and international visitors residing in Japan, but starting in 2019, we will make the classes available to international visitors visiting from overseas. ※The exact date will be announced on our website later. Hands-on Experience Class only: 3,000 Japanese yen (tentative). Tuition is to be paid in cash (Japanese yen) on the day of the class. It is prohibited to take abroad the bonsai created. 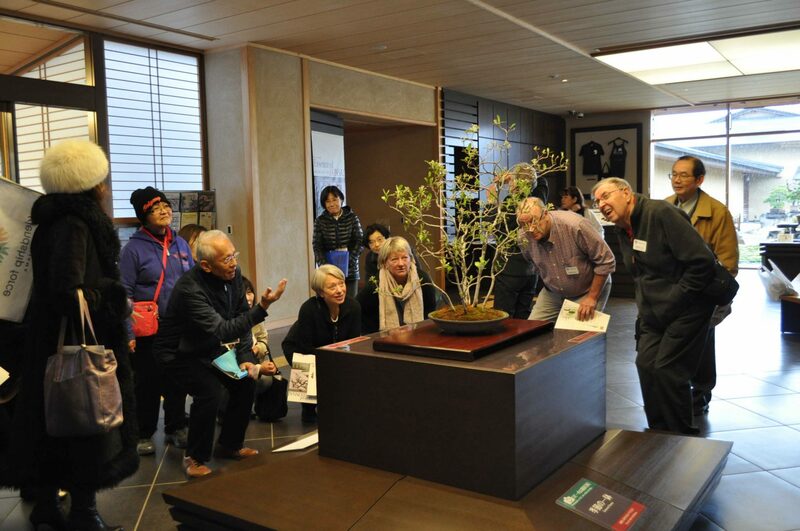 A Guide to the Omiya Bonsai Art Museum (Instructor: Museum Guide Staff) – approx. 30 min. 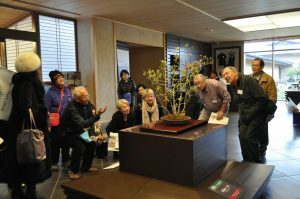 Through commentary about the exhibits in the museum, participants will learn about the appeal of bonsai and how to appreciate it. 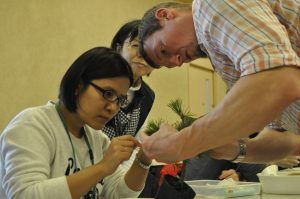 Hands-on Bonsai Making Experience (Instructor: Nippon Bonsai Association Instructor) – approx. 90 min. Participants will experience creating a small bonsai. Please apply no later than 1months prior to the desired date of the class. A Certification of Completion will be issued. Cancellations must be made no later than 2 weeks in advance. ※Please refer to the flier for deteils.